So I’m relaxing during the dusk of my summer vacation. As a teacher I get those, and while I won’t be able to retire until I’m 103, the idle August days are part of the payoff. I’ve been toying with being a pescatarian, at least during the week, so I recently stocked up on a bunch of fish I’ve never tried. 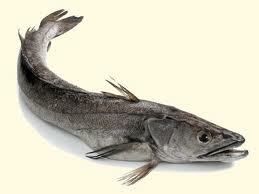 The first one up was hake, which is similar to cod and haddock. I used Epicurious and followed a recipe for hake and wild mushrooms. Strangely enough, I’ve never knowingly broiled anything before. Apparently I have a broiling pan, which I needed to look up on Google images and compare it to the handsome piece of equipment in my drawer (I went through a kitchen gadget phase and must have picked it up then). After nearly dropping the pan in the back of the oven and creating acrid smoke from touching the heating coil with my oven mitts, I finished cooking in about a half hour. I decided that I deserved a beer to pair with this masterpiece. 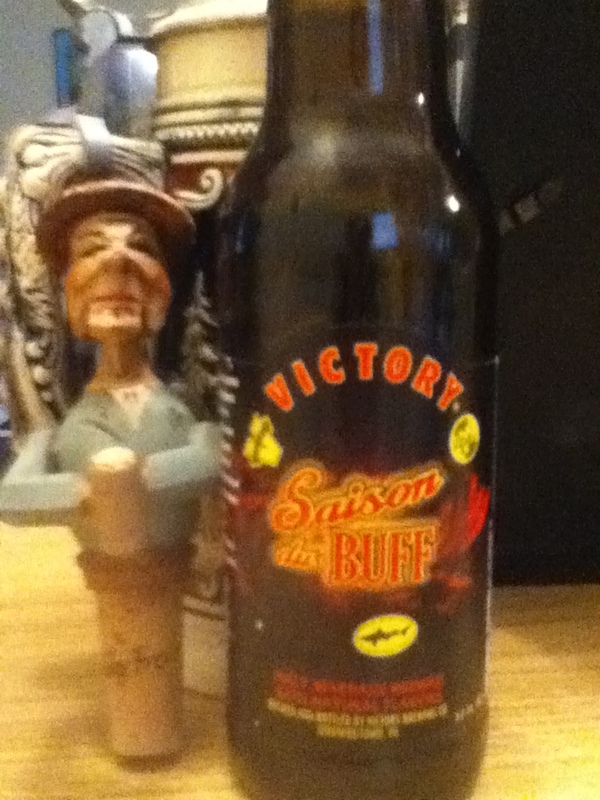 So I checked out the fridge and retrieved a Victory Saison du BUFF, which I bought as a one-off 12-ounce at The Cork Fine Wines & Spirits in Torrington, Conn. It was a blessed pairing indeed. With a satisfying combination of lemony nose and sharp near-pineapple, tongue-coating taste, this saison was a mullet of a beer: refreshing in the front and boozy in the back. It’s a sneaky 6.8% ABV. It had very little malt character, but on a humid day, it wasn’t a horrible imbalance. The Saison du BUFF practically danced off of the lemon juice and zest on the flazy, oily hake. The saison is a collaboration beer between three heavyweights: Victory, Dogfish Head, and Stone. Sounds like a supergroup, ala Cream or Damn Yankees. The BUFF stands for Brewers United for Freedom and Flavor. Yeah, I know, yikes. This was Victory’s take on it, but by using the same recipe (which includes parsely, sage, rosemary, and thyme), I’m not sure how different the three are. If you’ve tried Stone or Dogfish’s take, lemme know. Pick up a sixer of this if you can find it. 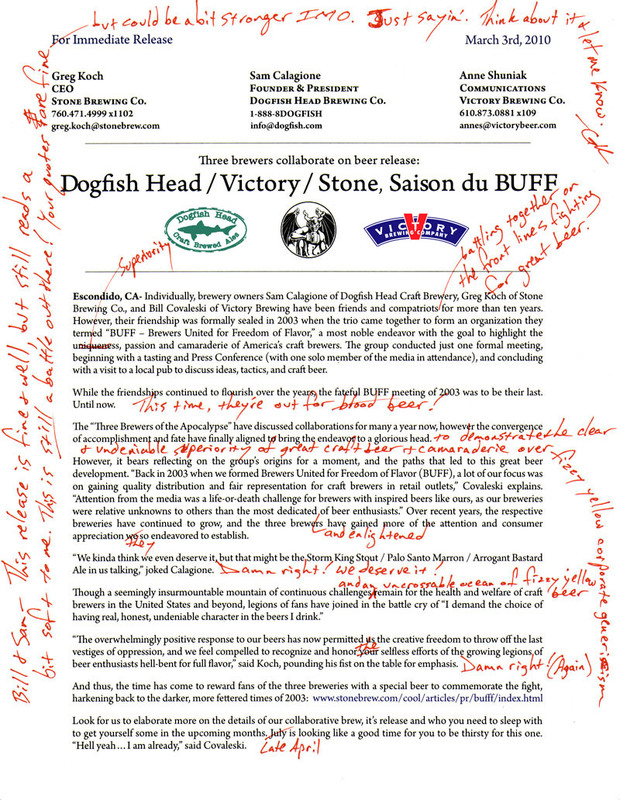 This entry was posted in Beer Snob and tagged Dogfish Brewing, review & story, Victory Brewing. Bookmark the permalink. Will…you’re funny! Great read. I’m not much of a beer drinker – maybe one at a picnic every now and then. Your description made me want to throw back a cold one! Give in to temptation, Bonnie! Thanks for reading.